I've recently finished putting together a custom Raspberry Pi case using the shell of an old Atari 2600. This isn't so much a how-to but more of a general overview of what was involved. It is all a lot simpler to accomplish than one might imagine. 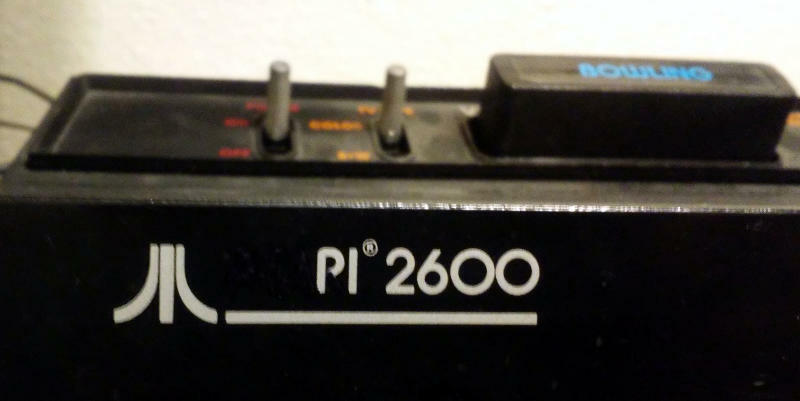 What gave me the idea for this project was that I had an old Vader style Atari 2600 with a number of hardware issues rendering it unusable. 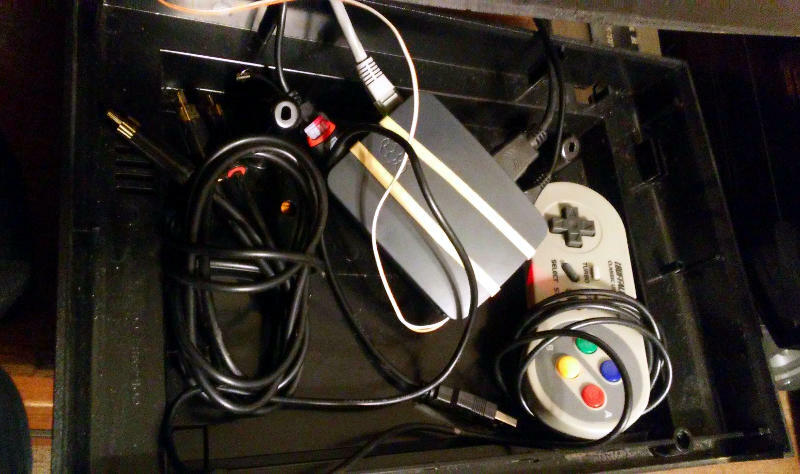 I've also been emulating thousands of old games on a Raspberry Pi 3 with Retropie lately but had never had a case for the Pi that was much to look at. I had been considering buying one of those little 3d printed cases which look like an original Nintendo Entertainment System which are aesthetically impressive but the price point always seemed a little silly considering the Pi itself is so inexpensive. 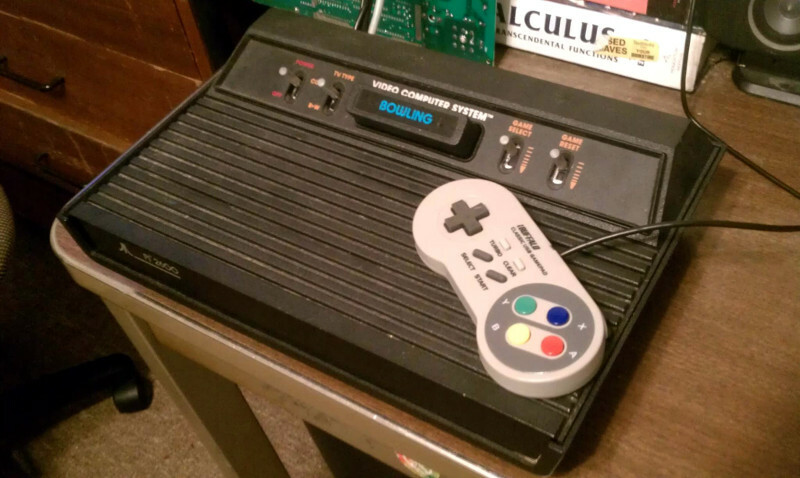 The first step for this project was to completely remove all the innards from the old Atari. There was a lot more space in here than I expected so I knew straight off it wouldn't be a challenge at all to fit everything needed inside of the case. The other end of this switch is connected to pins 5 and 6 of the pi's GPIO. These trigger the Pi to turn on if it has power but has been shutdown, they also double as an input which can trigger a safe shutdown of the system. I first saw how straightforward this was to set up on this video by ETA PRIME. He details how to set this all up and includes all the steps needed in a text file. Basically it involves making sure that you have python on the system and a library allowing you easy access to the GPIO pins. A script is then initiated whenever the system starts up which constantly watches for pins 5 and 6 being momentarily connected which then sets off a shutdown -h command when that occurs. Shutting the pi down in this way is much preferable to pulling the power to it since powering off suddenly at just the wrong moment can often lead to corruption of the sd card which the Pi runs itself off of. I decided to not screw everything back together because the top shell fits on very snugly and sits firmly in place. I also like being able to open the case up easily so that I can get to the spare controller that I've stored inside. Things were looking a bit odd when I had a hole open where the games used to fit in the system. I decided to put a Bowling cartridge in the empty space which is not ideal for ventilation considerations but hasn't caused any problems so far. It certainly isn't the most complex build out there but I am very pleased with it. It has been a lot more satisfying to have this classic Atari design beside the TV while I play old retro games compared to just hiding the Pi out of sight like I used to. 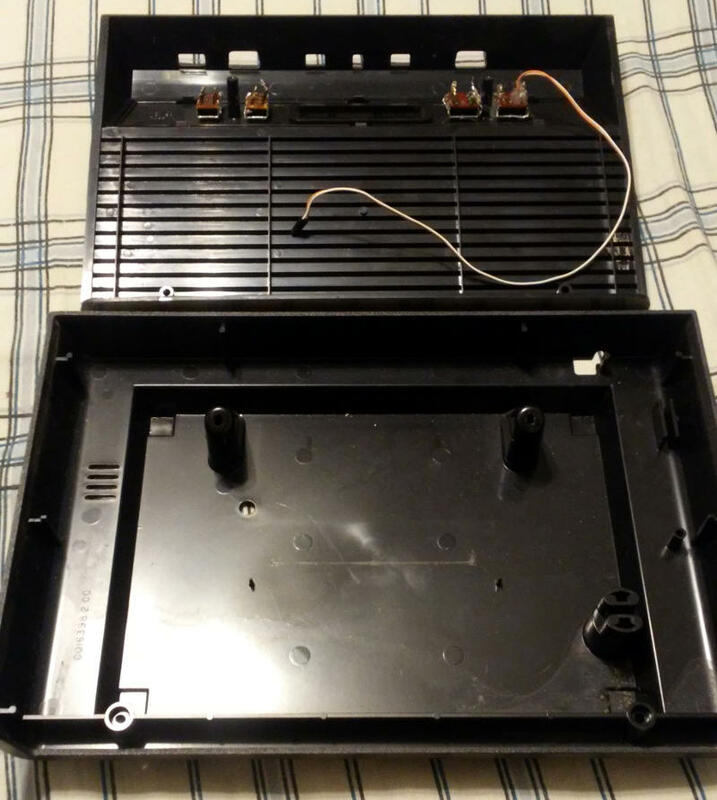 It would be a shame to dismantle a working Atari for this purpose but if you have a broken one, or can find one being sold which needs more repair than it is worth, I'd highly recommend re-purposing it in this way. Unfortunately the image host I was using, minus.com, is having some severe difficulty and most of the images I had hosted there for this blog are unavailable due to a technical problem. I'm hoping that they come back up as they were my primary backups of these images. For now I have replaced the images with the words "Image Removed" so some imagination will be required before I get everything back in order. It should be a great lesson for me to limit the points of failure in any system. If minus.com does come back up or if I am able to find good cached copies of them they will be put back in place as I have a log file of where each image should be. These little lights are great for floating in the bath, a pool, or just setting in your guests drinks for a little extra style at a party. 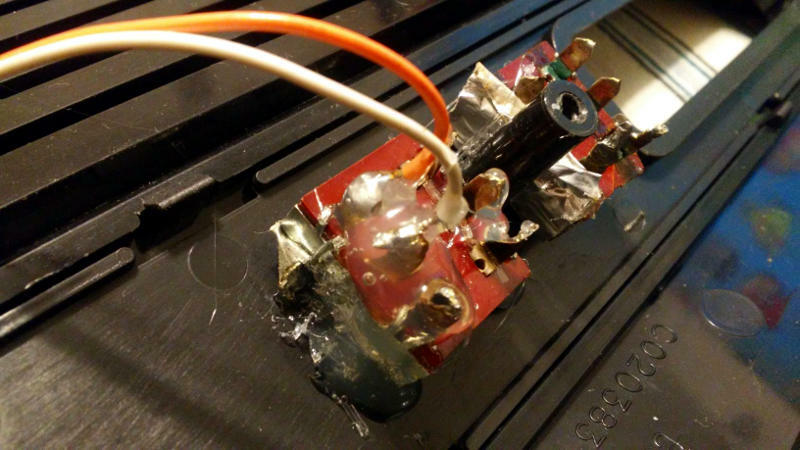 To begin you will want to bend the legs of your LED light such that they loop back on themselves snugly and place battery in-between the legs such that the light turns on. You will want a battery that drives your LED well without burning it out at full power and with enough amperage to last for a while. My favorite choice for the LED's I found were CR2032 buttoncells ( both found on Ebay ). After you get the LED shining brightly on the battery take your office tape and wrap it snugly around the battery to hold the wire legs in place so that they won't slip off. Now take a lot more tape and wrap it around the whole battery and LED. Pay special attention to go around the light a number of times and make it as puffy as possible. The idea here is to use the tape to start diffusing the light so that you won't end up with glaring light spots inside the finished orb. The tape should spread out the light giving you a small lumpy mass looking something like this. Next you will want to carefully take your box cutter to make an incision in the ping pong ball just wide enough to fit the LED and battery to fit inside. Stuff it all in there and work on getting the ball back to its original shape in-case you have dented it any during the operation. Work on getting the incision in the ping pong ball to be flush with itself again and hold it in place with one hand while using your other hand to hot glue the seam together. To get this seal less globular place some more office tape over the patch to make it push more closely to the ball. Be careful not to damage your fingers on the hot glue if you decide to press it down with tape. The idea here is to completely cover the incision and hold the ball together in a watertight package. Once the hot glue has finished cooling clean up the area a bit with the box cutter if necessary and take off any tape if you decided to push the glue down close to the ball that way. You've done it! You now have a glowing watertight ping pong ball orb to use in any way you see fit. My favorite thing to do with them is to bring them into the bath for some relaxing mood lighting. They also work quite well as drink markers at a party ( each person can have their own color ). I also found them quite fun to just toss around or set in a bowl. Depending on what LED light and battery you used they should last for quite a while. Mine went for a few days before getting so dim that I took them apart and salvaged the LED.